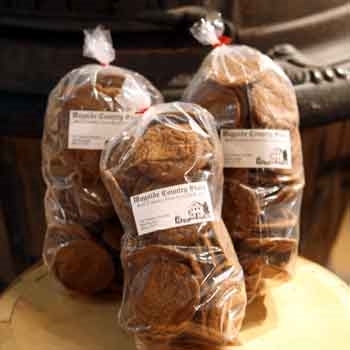 Ginger Snaps (3 - 14oz Bags). Made with real ginger, cinnamon, allspice and cloves. Enjoy our crunchy Ginger Snaps with a hot beverage. or a tall glass of milk. ENRICHED FLOUR (WHEAT FLOUR, NIACIN, REDUCED IRON, THIAMINE MONONITRATE [VITAMIN B1], RIBOFLAVIN [VITAMIN B2], FOLIC ACID), SUGAR, PALM OIL, MOLASSES, GINGER, BAKING SODA (LEAVENING), CARAMEL COLOR, SALT, SOY LECTHIN (AN EMULSIFIER), CINNAMON, CLOVES, CHILI POWDER, RE PEPPER.